The development of the state-of-the-art cooling facility began in July of 2005, with shipping from the cooler beginning in August 2006. The second phase of construction (the corporate offices) began in April 2007 and opened for business on October 20, 2008. Culminating in October 2008, the project merged several Monterey county-based facilities, allowing for all facets of the business to operate out of one, main location. The mission-style office building, outlying cooling and maintenance facilities sit on 52 acres. 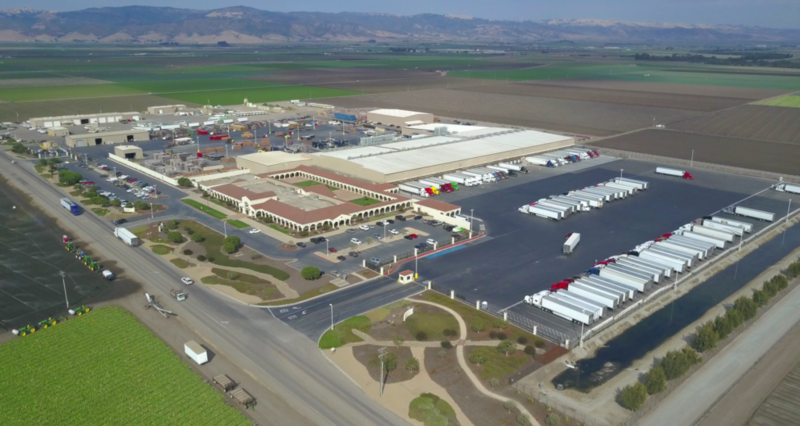 The D’Arrigo California cooler in Salinas, California is a major shipping location in the Salinas Valley. Our 152,000 square foot facility is a hub of ‘fresh’ activity for customers both domestically and internationally. Our consolidation and cross dock services aim to ensure optimal freshness and efficiency to better serve our valued customers. Total headquarter acreage is 52 acres. Max weight for truck, trailer and product is 80,000 lbs.